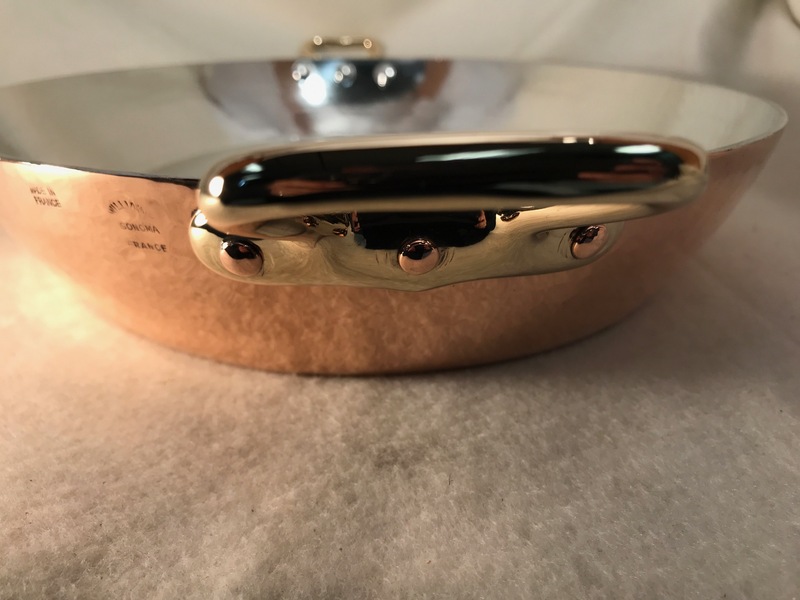 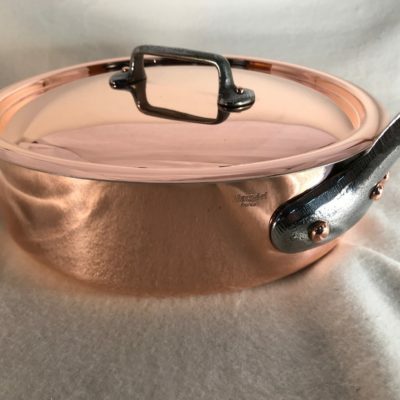 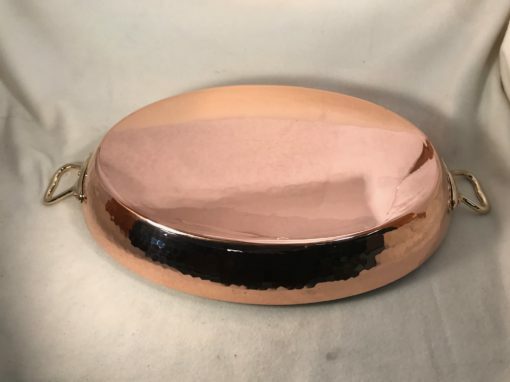 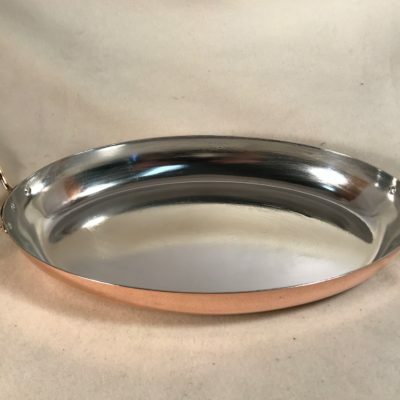 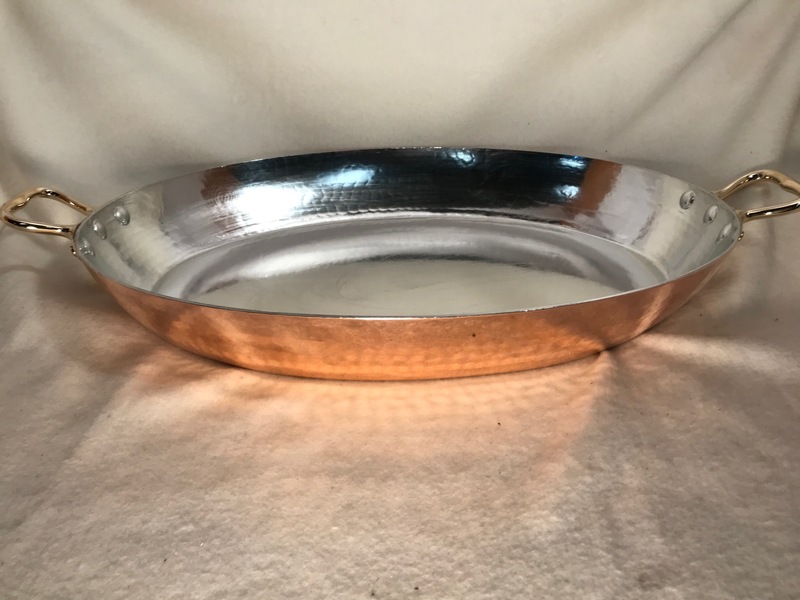 This hammered Fench copper pan is very unique due to its size. 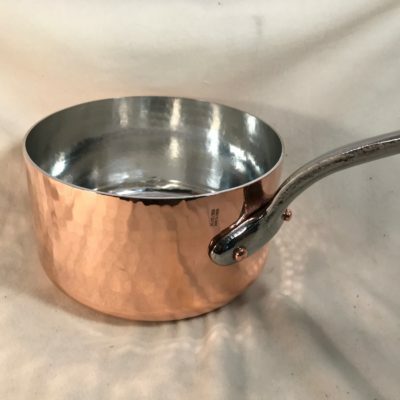 Completely restored with a fresh new lining of tin. 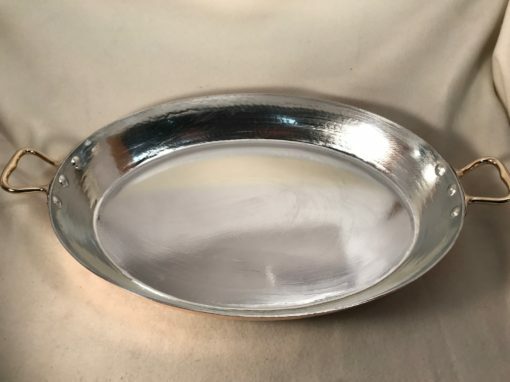 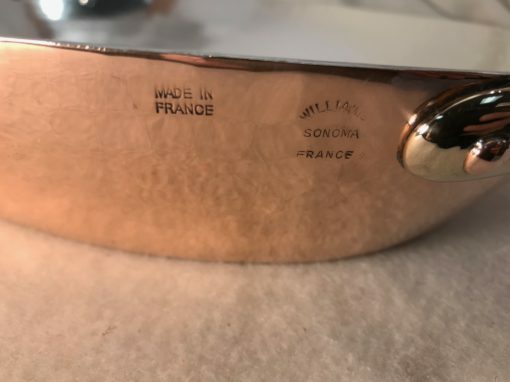 Stamped “Williams Sonoma France” made in France. Dimensions 18 inches long x 13 inches wide x 2.5 inches tall.